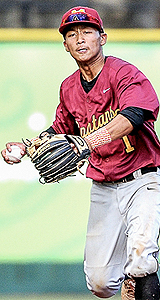 With Maryknoll capturing its third straight Division II crown in 2015, it should be no surprise that the Spartans' Joshua Muneno repeated as the ScoringLive All-Hawaii Division II Baseball Player of the Year. 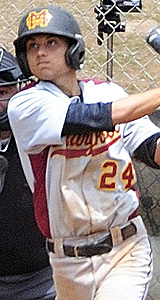 The Maryknoll ace was one of four seniors that played a vital role in the Spartans' run to the title. 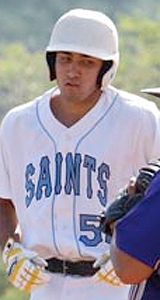 In 64 and 1/3 innings pitched, Muneno recorded 46 strikeouts against 17 walks. 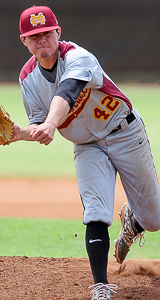 While his ERA may not be the most eye-popping (2.07), Muneno was undefeated on the mound. Muneno's 9-0 record was the best in the state, regardless of classification. 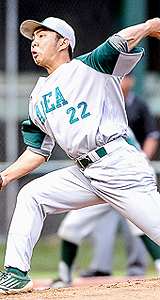 "He's not an imposing figure and he doesn't light up the radar gun, but he just gets the job done," said Aiea coach Ryan Kato. "He's been doing it all year and the consistency is off the charts. For a high school kid to be that frequent, it speaks volumes in his work ethic to maintain that excellency." Maryknoll coach Randy Yamashiro described Muneno as someone who leads by example. Whether it be on the mound or at the plate, Muneno's actions provided a big boost through a handful of close games. "Everybody gets behind him and they just buckle down and play hard," said Yamashiro. Even when teams would rack up multiple hits on Muneno, he was rarely fazed. Kapolei racked up 10 hits on Muneno and held a 5-3 lead in the middle of the seventh inning in the opening round of the Division II state tournament, but could not complete the upset as the Spartans rallied around Muneno for a 6-5 walk-off win. "I've seen him on video before, but he's more impressive live," said Kato. "He has great composure and and wouldn't get rattled. I think that was impress me the most, the way he could take a punch and get right back and compete." Muneno also boasted an underrated bat, finishing the season with a 0.348 batting average. He scored 12 runs, drove in 16 more and drew 15 base on balls on the year. The 5-foot-8 senior batted in safely in every game of the state tournament, knocking in two triples and a double in the three-day tourney. Muneno will continue his baseball career at Centralia College in Washington, where he will get an opportunity to pitch and play in the field. Teammates joining Muneno on the All-Hawaii first team selections include pitcher Jarred Kaneshiro, catcher Neal Nakasone Jr., shortstop Kahi Hirano and designated hitter Jonah Chinen. 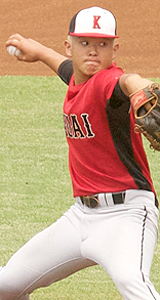 Kaneshiro boasted a 0.19 ERA in 37 innings pitched. 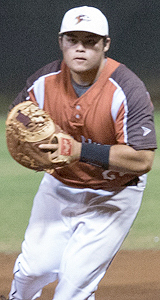 Nakasone was selected more for his defensive ability, but did have the game-winning hit against Kapolei. Hirano had the second highest amount of runs scored in Division II with 20 and Chinen had a 0.435 batting average. 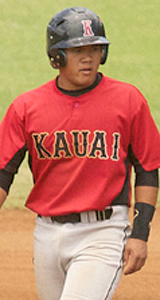 Kauai's Cal Koga was selected as the third pitcher on the first team for the second straight year. 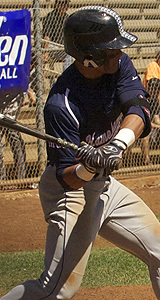 He is joined by third baseman Micah Layosa, the Kauai Interscholastic Federation Player of the Year. 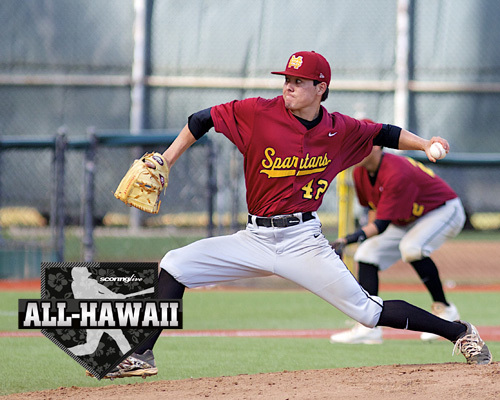 » Download a printable version of the 2015 Division II All-Hawaii Team. Rounding out the infield selections was Pac-Five first baseman Casey Wond and KS-Hawaii second baseman Daylen Calicdan. 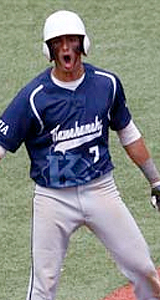 Wond finished the year 27 hits and 21 RBIs, the most garnered by any player in the state. Calicdan racked up 18 runs, 19 RBIs and 19 hits, seven of which went for extra bases. The first team outfield consists of Aiea's Shannon Fermahin, KS-Hawaii's Kobi Candaroma and Saint Francis' Sean Fernandez. 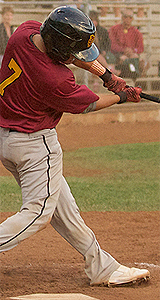 Fermahin had the fifth-best batting average in Division II, Candaroma ranked in the top five of three offensive categories and Fernandez had the fifth-most hits in Division II. Aiea's Jarred Uyeda, the Oahu Interscholastic Association Division II Player of the Year, rounds out the first team as a utility selection. 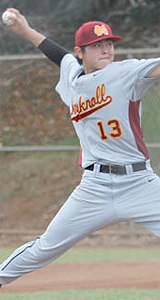 The 5-foot-8 junior had the most runs scored in Division II with 21 and picked up three wins on the mound. Kato was selected as the Division II Coach of the Year after leading Na Alii to their 10th overall OIA championship. 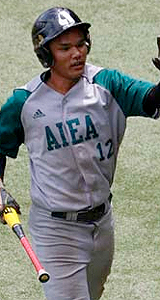 Aiea advanced all the way to the state final before losing to Maryknoll, 8-4.